Fill out the information below to receive a list of available listings that meet your desired criteria. Submit your contact information below to receive a free market snapshot. This is a real-time MLS market update and trend analysis overview that provides the most current sold data, active listings, inventory and days on market counts in your area! 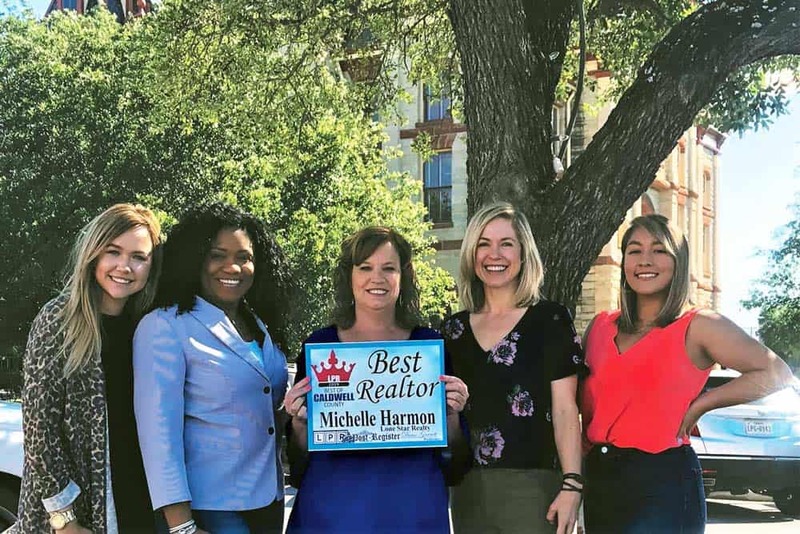 Michelle Harmon had a dream to start her own real estate company in her hometown of Lockhart. She made that dream come true in October of 2017. Michelle has over 10 years of experience in real estate. She also has over 18 years of experience in Customer Service which allows her to help her customers and clients thru the twists and turns that sometimes can come with buying and selling real estate. Michelle is able to work well with all people involved in the transaction to help ensure that the transaction will go smoothly. Michelle is married to Jim Johnson, they have 3 beautiful daughter and 4 beautiful granddaughters. In her spare time, Michelle loves to fish and hang out with her family and friends. When you are ready to buy, please give Michelle a call at 512-227-0845 or e-mail her at [email protected] and she will be happy to help you. Amanda West comes to us with over 2 years of experience in Real estate and a bigger than Texas personality and smile. Amanda has lived in the Lockhart area most of her life. Amanda went off to Upstate New York to follow her passion of cooking. She graduated from the Culinary Institute of America. She loves helping people. In her spare time, she enjoys running, climbing, swimming and hanging out with her family and friends. Whether you need help purchasing your first home or your 50th home, Amanda is here to help. Please call her at 512-914-4790 or e-mail her at [email protected]. Skyler comes to us fresh out of college with great ideas and up to date technology tools. She loves helping buyers find the perfect home. She also has a passion for interior design, which can be a great tool for staging a home during the listing stage. Skyler loves all people. When Skyler is not helping buyers, she loves hanging out with friends and family and her dog, Bentley. To reach Skyler, you can contact her directly at 512-227-6311 or email her at [email protected]. Michelle helped us buy our second home in 2014. She knows her area very well, and she is always available and very personal. She took the time to get to know what we really wanted. She know my kids by name and, if I sent her a listing, she would tell me why I wouldn’t like it so we wouldn’t waste our time.We considered moving and went straight to Michelle to list. We took all her advice to get it ready, and it was on the market for 2 weeks when we got a full price offer. We ended up not moving due to nothing being available for us, but I highly recommend Michelle. Michelle was excellent! She kept us informed throughout the whole process and worked hard to help us sell quickly. She answered any questions we had honestly and with expertise. We could not have been any happier. Michelle was very personable, professional, and responsive. She helped me sell acreage recently. She helped me find a surveyor who did a great job at a reasonable price very quickly. I would definitely recommend Michelle to anyone looking for a knowledgeable realtor in the Lockhart area. I bought and sold my house with Michelle, and I’m here to tell you this woman has helped me enormosly! 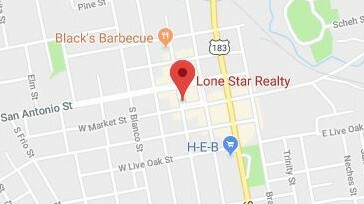 First, when I moved to Lockhart, she went ABOVE the call of duty to help me not only find the perfect home, but also get established in the area. Second, when it was time for me to sell, I had some turbulence when it came time to close and, once again, this lady soared above the call of duty to help me out! You will NOT find a better agent than Michelle Harmon! She’s knowledgeable, helpful, and is definitely working for you! Michelle is a wonderful Real Estate Agent. She takes care of things very quickly and is very responsive to your needs. If you are looking for a house to rent or to buy, I strongly recommend you contact Michelle. She will make things happen quickly for you. Michelle sold us our house, and it was a wonderful experience. So when the time came to contact a realtor to sell, we didn’t hesitate to call her back! We needed a very quick sale, and Michelle went out of her way to make sure that happened for us! She was very informative and thorough throughout the entire process, which was extremely important to us as first-time sellers. We would highly recommend her if you’re looking to buy or sell! We have worked with Michelle for several years now and she has always gone above and beyond to help us. She is extremely professional, knowledgeable, and efficient. We definitely recommend Michelle if you are in the market for a home. We loved working with Michelle! Se was in constant communication, even during weekend and evening hours, and ready to answer our many questions. We highly recommend! Michelle goes above and beyond and is very caring and patient. She has become more of a friend through our process of buying and selling our homes. We would definitely recommend her and would use her again if the opportunity came up. Michelle definitely went above and beyond our expectations. Anytime we had questions we could call her day or night and get the answers we needed. I would recommend her to anyone who was selling or buying a home. Interested in an exciting, new career opportunity? Submit your contact information below for more details! © Copyright 2019 Lone Star Realty. Website optimized by tekRESCUE.